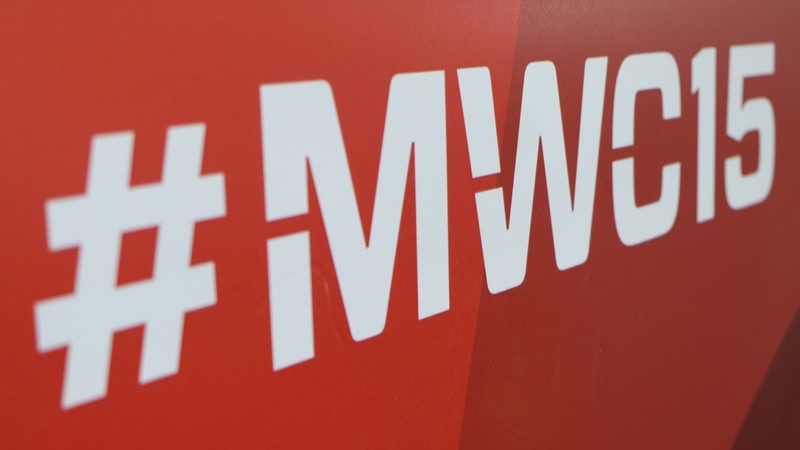 The Huawei Watch, the Pebble Time Steel and a billion and one smartphones are undoubtedly the stars of MWC 2015. After all, it's easier to hold aloft a piece of kit to the baying crowd than it is an idea. There's not much to take a picture of and sell in the shops for the latter. But ignore the stories going on behind the hardware at your peril. Want to know what's really going on at MWC? Too little, too late? It's an obvious criticism to level at the often great, more often patchy Taiwanese device manufacturer. The HTC Grip is a fitness band and, if you ask us, which you should, fitness bands are in danger of becoming old news in the world of wearables. In fact, they've got to add something pretty special to make it now that the smartwatches have started to eat their pedometer lunches for them, not to mention the buffet of biometric clothing that's about to begin. So, is the HTC Grip something special? Probably not; its GPS feature might bag it some sales but, with everyone comparing it to the Nike+ Fuelband - a product line which Nike is letting go of - things don't really bode well. Nonetheless, on the other hand of HTC's, albeit delayed, leap of faith, sits the HTC Vive VR headset. Now, that's a wearable move of an altogether more astute variety. Smartwatches are tricky ground at the moment. There's lots of competition, Apple is waiting to pounce and the greater public is still rather undecided for the time being. While VR is at an earlier stage of its evolution, there are fewer people and products in the game, and probably a more obvious and compelling set of use cases. VR is coming. HTC has decided it's all about games and has accordingly found the perfect partner in Valve. The Vive itself is also hugely ambitious by the looks of things. This isn't a glorified frame for your mobile phone. It's a proper ocular display in its own right with tens of LDRs on its outer that seek to manage the problem of detecting your actual environment so that the wearer can move around in it safely while enjoying the virtual one. So, while HTC might be late to the gunfight with its knife of a wristband, MWC 2015 still represents a good wearable move as far as the company is concerned. There's a very cagey undercurrent at this year's show regarding Android Wear. It's present and correct on all of the big devices, it's even managed to pass the magic 1 million app download mark at almost the same time but, with the launch of the Apple Watch just days away, has Google done enough to secure its smartwatch OS as a viable competitor? Through sheer watch numbers, there's an odd feeling that Android Wear has become something of a number one choice by default. Pebble and Samsung's Tizen are the only other mass consumer options, and the hardware they come in is far less abundant. Nobody has run to Google because of the software. It works, but you can bet that Apple's Watch OS is going to be a whole lot neater. So, where does that leave Android Wear at MWC 2015? With every manufacturer expecting a major update with some much needed improvements some time soon. That's the feeling. No, there's no use trawling back through the headlines. Samsung did not announce any smartwatches, or indeed any wearables of any kind, at MWC 2015 (apart from a the-same-but-different S6 version of the Gear VR headset). Shocker. And why such a black hole in our trade show copybook? Well, according to comments from a company vice president in the Wall Street Journal, Samsung is aiming for perfection with its next piece of wrist wear. It wants to pause to get things right. That's quite a big thing to say for a company whose entire modus operandi is based around chucking enough products out of the door to make sure that there's a different Galaxy or telly or smartwatch for anyone on any budget. As it happens, we had been expecting to see a Samsung smartwatch at MWC that had been under the codename of Orbis. Can it be that it was pulled after we all found out - not at all coincidentally on the first day of the trade show - that an Apple Watch event is scheduled for 9 March? Does Samsung want to pore over the Cupertino company's reviews before it works out what tweaks need to be made? Or should we simply take this on face value that, after a lukewarm reception for the Gear S, Samsung simply wants to get things right this time? Hard to say, but there's certainly no harm in waiting another week or two to get a closer look at the competition both from Android Wear and Apple too. Here's hoping the next one's a winner. Transportation isn't something one would normally associate with wearables but when it's connected to your heart beat, that's an entirely different matter. That's exactly what Ford has done with its prototype MoDe electric bicycles. They have a No Sweat mode where the electric motor kicks in automatically as your BPMs pass a certain threshold. Now, that could stop you from getting too fatigued or it might be good for keeping you training at the right level of effort but that's rather besides the point. What's more interesting is that, whereas vehicles have recently been focused on connecting to your mobile, now it seems the future is about trying to connect direct to people instead. How about an in-car entertainment system that finds music according to your mood, a satnav that re-routes you onto the scenic road if its senses you and your passengers would appreciate it, or an engine that slows you down safely and stops you on the hard shoulder if your vitals suggest you're about to start dropping off at the wheel? Welcome to the vehicles of tomorrow. Hows about we get lost in the detail that really doesn't matter? There is no one, final and decided wireless charging standard for your mobile, your tablet or whatever gadget you'd like to place on a surface and watch juice up thanks to the magic of magnetic induction. Ikea is going to start shipping furniture with these kinds of capabilities from this summer and has chosen to partner with Qi. Ok, so your choice of device might not be compatible but maybe you'll think about that next time around because it's companies like this that end up deciding such format wars. Explainer: What is the internet of things? Also, the point isn't whether it's going to fit everyone just yet. It's the fact that the largest home furnishings retailer in the world has just gone tech. Smart homes are going global and at rock bottom prices. Right now it's just wireless charging but we're finally on the road to bigger and better things for everyone's flat pack dreams. Apple Pay, Google Wallet and now Samsung Pay and Android Pay too; there's renewed vigour at MWC 2015 that mobile payments are somehow going to become the important and ubiquitous means of transaction that people predicted all along. We're yet to understand the benefits of pulling a phone from your pocket to tap onto a reader when our contactless cards will do fine but when it's something that's already in the right place – something around your wrist, say – then we're willing to talk business. Samsung Pay is more about picking up legacy customers still using magnetic strip cards instead of chip and PIN and it's only the preserve of the Galaxy S6 for the moment too but you'd better believe that it'll float straight over to the Gear smartwatches should it prove a success. Android Pay is all the more nebulous for the moment. It's a background framework for other app makers to leverage to make sure that payments can happen on Google's mobile OS systems – and presumably Android Wear too. It's NFC-based and the real clue is that it's going to take biometrics into account. Don't expect to hear too much about it even when it's complete, and don't expect Google Wallet to disappear either. When the tide of smartwatch payment apps turn up for your Moto 360 or Asus Zen, though, you can be fairly certain that it's all systems go. Whomever you tap and go your timepiece through, smartwatch payments are a great move for wearables. Just read this superb piece on Barclays bPay if you don't believe us. Just a bit of fun for the moment but why on earth should it not be security software companies like AVG who are going to be looking out for us in the real world as much as they do already in the virtual one? Privacy Glasses – or, more likely, some form factor far more subtle – could be a typical counter measure for those looking to block wouldbe stalkers of the AR future. A quick glance across a room might be all it takes one day to recognise your face and figure out you likes, dislikes and entire digital existence. That might be ok by you, and then again it might not be. By the same token, it might be a physical wearable like this to protect you or, more likely, the fact that you've got your online privacy settings right instead. Still, there's no reason why AVG et al can't be in charge at that end of things. Anything else strike you about the goings on at MWC 2015? Let us know in the comments below or read our coverage here if you're looking to form an opinion.